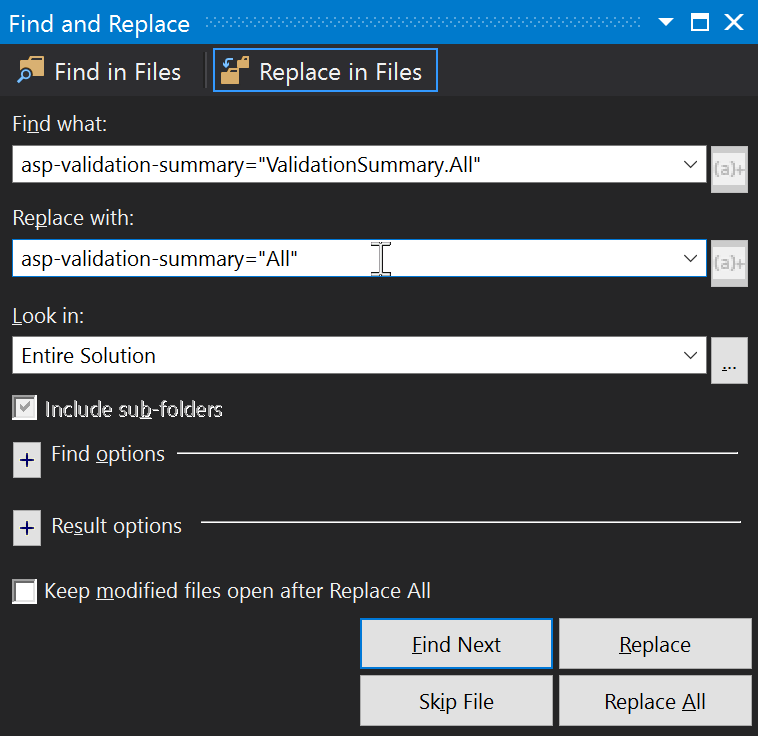 There are a few gotchas when migrating Visual Studio 2015’s ASP.NET 5 web application template from RC1 to RC2. This quick guide will help you through them. To this end, remove all references to Application Insights from your app. Now compile the app and run through any compilation errors that arise due to the now removed Application Insights reference. // This will push telemetry data through Application Insights pipeline faster, allowing you to view results immediately. The red squiggly error line is fine. Ignore it. It just wants to scare you but its behind a screen, it can’t touch you. This particular example ensures that in developer environments, you see useful exceptions, whereas elsewhere you see friendly error pages. This hosting.json will use Kestrel to serve your app, as you can see. Now your application should run as expected. Enjoy!